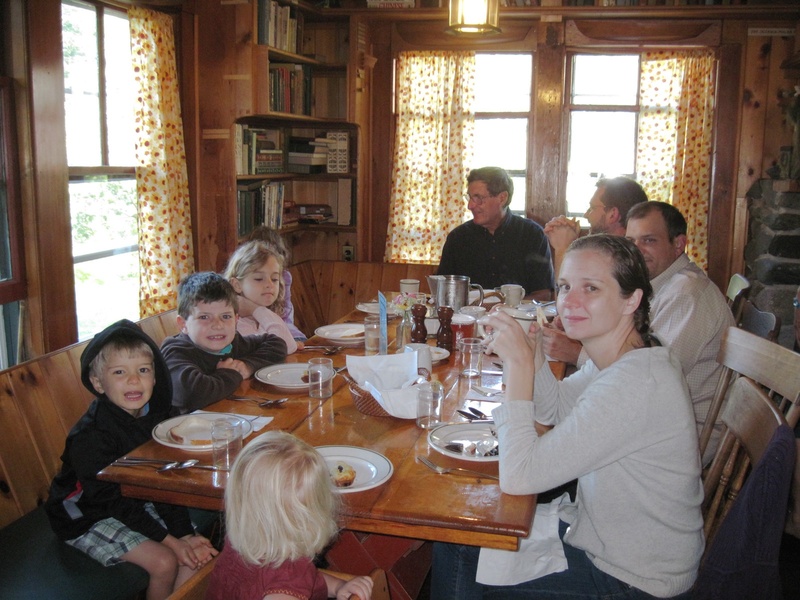 During the summer Season (roughly the last week in June through Labor Day, see schedule), we serve breakfast and dinner family-style in the book-lined dining room of the Farmhouse. 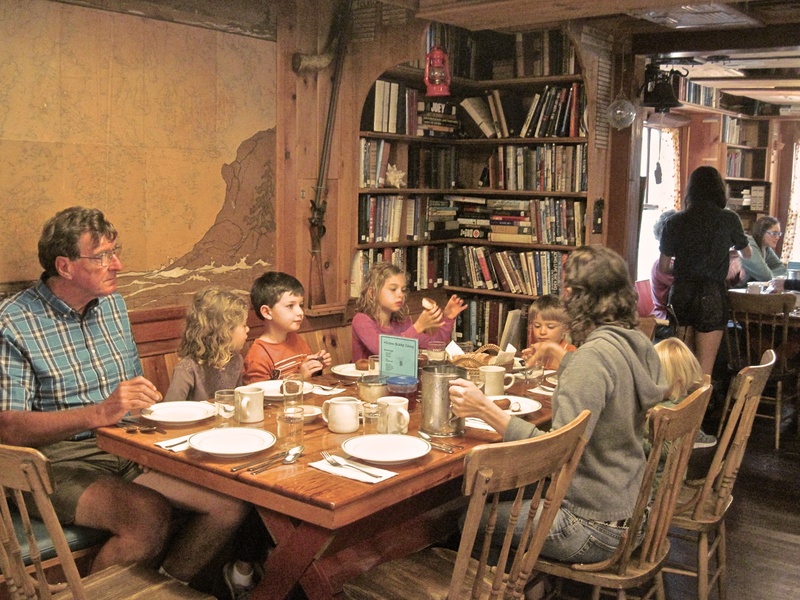 Families are seated together at large tables that hold six to eight people, where they can comfortably enjoy great food and relaxed conversation. 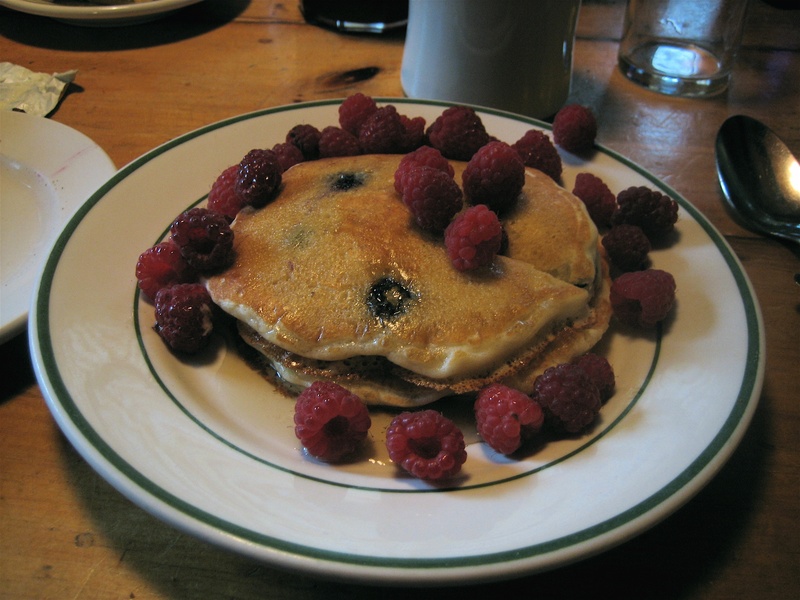 Breakfast is pancakes or French toast, bacon or sausage, hot or cold cereal, homemade donuts, muffins or sweet rolls, and our own farm-fresh eggs served any way you like them. Fresh fruit and berries are also available. 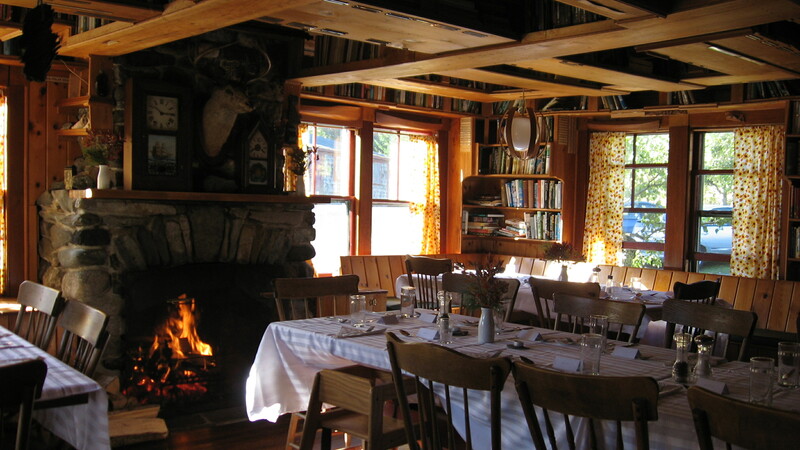 A delicious home-cooked New England country-style dinner is served each evening. The main course is typically fresh seafood, baked ham, roast beef, pork, chicken or turkey; fresh lobster is available at any meal, with advance notice and at an additional charge. Every meal includes homemade soup, juice, salad, bread, dessert and drinks. Guests may bring a bottle of wine to dinner if they would like. We can provide corkscrews and wine glasses. 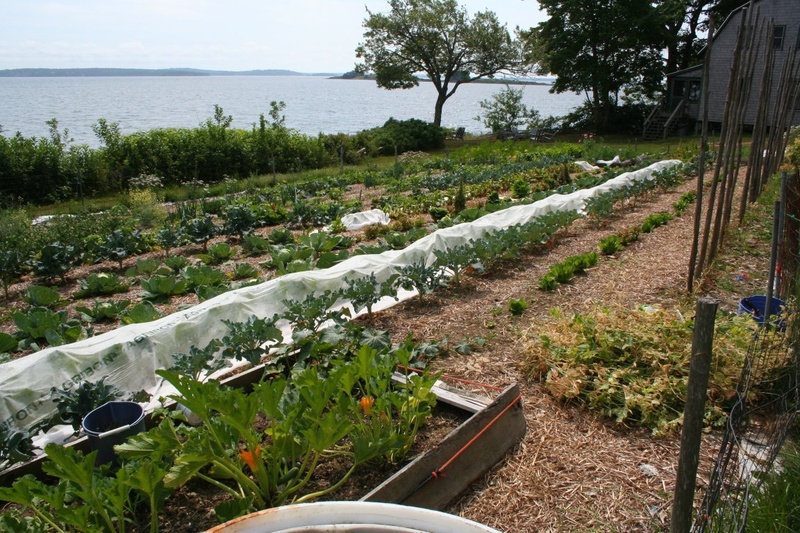 Most of the vegetables and garden greens we serve are grown in our own organic gardens or on one of the neighboring organic farms. Breads, pastries and desserts are baked from scratch in the camp kitchen. 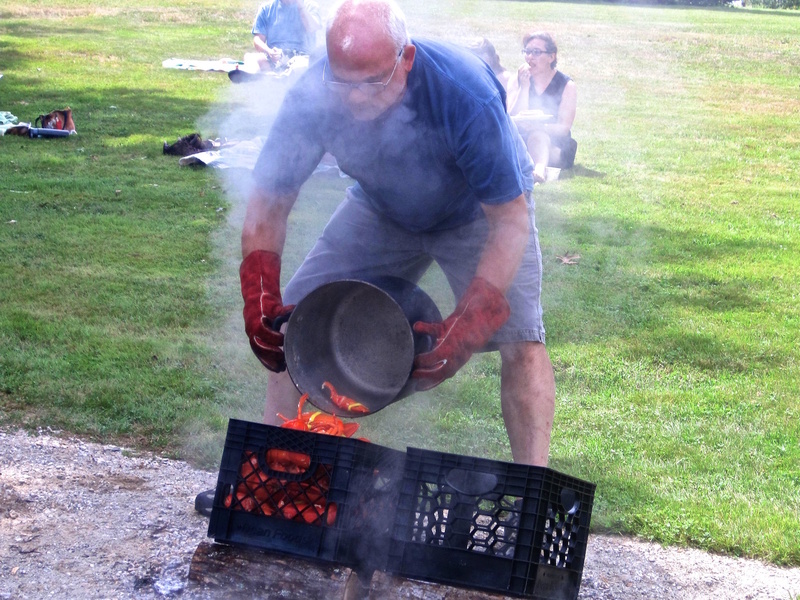 Once a week, on a sunny day, we have a lobster picnic for our guests on the lawn across from the beach at nearby Holbrook Island Sanctuary. And off-season, you can find delicious local meat, fish and produce to prepare in your cottage kitchen. You always have option of venturing out for local favorites: wood-fired pizza, a fried clam basket, distinctive tacos made with local ingredients, or full four-course haute cuisine.